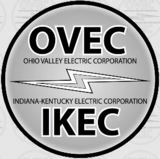 Ohio Valley Electric Corporation (OVEC), through its wholly owned subsidiary, Indiana-Kentucky Electric Corporation, provides electric power to the uranium enrichment facilities in Portsmouth, Ohio. 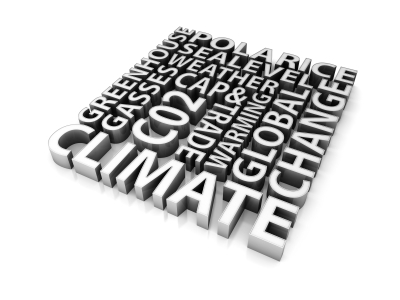 It owns two generating stations located in Ohio and Indiana. The company was founded in 1952 and is based in Piketon, Ohio. Out of its total 2,389 MW of electric generating capacity in 2005 (0.22% of the U.S. total), OVEC produced 100% from coal. OVEC owns two power plants, one in Indiana and one in Ohio. In 2006, OVEC's 2 coal-fired power plants emitted 15.3 million tons of CO2 and 133,000 tons of SO2 (0.88% of all U.S. SO2 emissions). Kyger Creek Station ranked number 29 on the list, with 1,356,475 pounds of coal combustion waste released to surface impoundments in 2006. In November 2011, the EPA released a new set of data that revealed 181 “significant” hazard dams in 18 states - more than three times the 60 significant-hazard ponds listed in the original database released in 2009. In addition to the increase in the number of significant hazard-rated ponds, eight previously unrated coal ash ponds were found to be high hazard ponds in information released by the EPA earlier in 2011. Because of the switch in ratings after the EPA inspections, the total number of high hazard ponds has stayed roughly the same at a total of 47 ponds nationwide. The facility OVEC provides power for opened in 1956 to enrich uranium for nuclear weapons. Its mission switched to producing fuel for use in commercial nuclear power plants in the 1960s. On August 16, 2010, a $2.1 billion, 10-year contract was awarded by the U.S. Department of Energy for environmental cleanup of the former uranium processing plant. A joint venture between Texas-based Fluor Federal Services Inc. and North Carolina-based Babcock & Wilcox Technical Services Group Inc. will take over the next phase of the environmental remediation of the government-owned complex that calls for the decontamination and decommissioning of three processing buildings at the Portsmouth Gaseous Diffusion Plant in Piketon. The contract will involve cleaning up contaminated soil and groundwater. The stepped-up remediation effort comes as USEC continues to court the energy department for a $2 billion loan guarantee for a proposed $4 billion facility on the campus to continue production of fuel for the nuclear power plants using a centrifuge technology. In the early 1990s, USEC was created as a government corporation in order to restructure the government’s uranium enrichment operation and prepare it for sale to the private sector. Separately, Duke Energy and Areva SA in mid-2009 announced tentative plans for a 1,650-megawatt nuclear power plant on the Piketon campus. That project remains unscheduled pending site review and exploration of potential federal government financial assistance. ↑ 1.0 1.1 Consolidated Financial Statements as of and for the Years Ended December 31, 2007 and 2006, and Independent Auditors’ Report, Ohio Valley Electric Corp., p. 4, accessed July 2008. ↑ OVEC History, Ohio Valley Electric Corp., accessed July 2008. ↑ Ohio Valley Electric Corporation, BusinessWeek Company Insight Center, accessed July 2008. ↑ 8.0 8.1 Sue Sturgis, "Coal's ticking timebomb: Could disaster strike a coal ash dump near you?," Institute for Southern Studies, January 4, 2009. ↑ 11.0 11.1 "Piketon plant to get $2.1 billion for cleanup work" Business First of Columbus, August 18, 2010. This page was last edited on 1 November 2017, at 02:41.